The Joseph Biroc papers span the years 1917-1993 (bulk 1943-1979) and encompass 9 linear feet. The collection consists of production files, television files, subject files, military papers, and oversize material. The production files (bulk 1950s-1970s) contain scripts; production material, typically call sheets, cast and crew lists, contracts, and schedules; and publicity clippings for around 100 films. Among those with more extensive coverage are "...All the Marbles" (1981), "Beyond the Poseidon Adventure" (1979), "Hush...Hush, Sweet Charlotte" (1964), and "The Towering Inferno" (1974). There is extensive material on Orson Welles's unproduced film, "It's All True" (1942), including detailed information on the camera equipment used and an informal itinerary for shooting scenes of the carnival and nightclub in Rio. There are two copies of an original program from the nightclub Casino da Urca which features pictures of Welles. Also of interest is a letter from Robert Aldrich to George Justin praising, in detail, Biroc's work on "The Longest Yard" (1971). The television files (bulk 1960s-1970s) contain a few scripts; production material, typically call sheets, cast and crew lists, contracts, and schedules; and publicity clippings for more than two dozen productions, primarily television movies and miniseries. There is also material relating to the unproduced television pilot for "Take Her, She's Mine" (1965). The subject files contain miscellaneous personal and professional correspondence and some contracts. Of interest are Biroc's 1948 membership application for the American Society of Cinematographers, correspondence from Robert Aldrich, a thank-you letter from Peter Lawford, and three drawings of Biroc by different individuals including Gerd Oswald. In addition, there are publicity clippings that cover seven decades from 1929 to 1999. The military papers focus primarily on Biroc's service during World War II. Military forms provide useful biographical information regarding both his film and military career. Also of interest are Biroc's Army dog tag and captain's bars, military badges, and correspondence from Ronald Reagan. Although Biroc was involved in filming the liberation of the Dachau concentration camp under George Stevens's unit, there is little information regarding this aspect of his military service. The oversize material includes a handful of items, including Biroc's American Society of Cinematographers Lifetime Achievement Award, a mounted color photograph of Biroc from the 1970s, and a promotional piece for "Airplane II: The Sequel" (1982). Joseph Biroc (1903-1996) was born in New York. After becoming enamored with motion pictures as a child when he saw his first film projected onto a large sheet, Biroc never considered any career but film. While still in high school, with help from his uncle, he landed a job as a film lab technician with Paragon Labs in Fort Lee, New Jersey in 1918. Biroc dropped out of high school the following year. 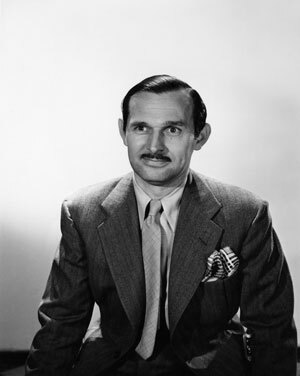 He worked at Craftsman Labs in New York between 1920 and 1923 and briefly worked as a film printer for Goldwyn Pictures in Culver City, California in 1923 before returning to New York to work as a film printer for Famous Players-Lasky. In 1925, the studio promoted him to assistant cameraman. When the Long Island studio shut down two years later, Biroc moved to Los Angeles where he briefly worked for United Artists on such films as "Alibi" (1929) and "The Rescue" (1929) with James Wong Howe, before moving on to RKO where he found work as a camera operator with the help of his friend William Eglinton. During his early years at RKO, Biroc assisted cinematographers Edward Cronjager, Leo Tover, and Robert De Grasse. He worked on pictures including "Are These Our Children" (1931), "Cimarron" (1931), and Fred Astaire-Ginger Rogers vehicles such as "The Gay Divorcee" (1934), "Swing Time" (1936), "Follow the Fleet" (1936), and "Shall We Dance" (1937). Although David Abel was the cinematographer for the majority of the latter, Biroc took over for the final five weeks of production. RKO rarely credited camera operators so Biroc received no screen credit for "Sylvia Scarlett" (1935), "The Ex-Mrs. Bradford" (1936), "A Woman Rebels" (1936), "Five Came Back" (1939), "Allegheny Uprising" (1939), and "They Knew What They Wanted" (1940). In 1942, Biroc traveled to Rio de Janeiro to shoot footage for the Orson Welles documentary "It's All True," which was never finished. Biroc's final work prior to World War II was for "Bombardier" (1943), for which he replaced cinematographer Nicholas Musuraca for five weeks. In 1943, Biroc enlisted in the Army Signal Corps as a motion picture cameraman. As part of the United States Army Forces in the European Theater he traveled through France and Germany shooting footage. In 1945, while with George Stevens's Special Motion Picture Coverage Unit and serving as captain of the sixth detachment, Biroc arrived at the Dachau concentration camp and documented the atrocities which had taken place there. By the end of the war, Biroc reached the rank of captain. He continued to serve in the reserves thereafter, eventually attaining the rank of major. Following World War II, Biroc returned to RKO and received his first screen credit as cinematographer for "It's A Wonderful Life" (1946) after Victor Milner was fired and Joseph Walker was called to another picture. Biroc later served as cinematographer for the first 3-D American feature length film in color entitled "Bwana Devil" (1952). Biroc's long association with producer-director Robert Aldrich began with "The Guest," a 1952 episode of the television anthology series "The Doctor." He shot such Aldrich films as "World for Ransom" (1954), "Attack" (1956), "Hush…Hush, Sweet Charlotte" (1962), "The Flight of the Phoenix" (1965), and "Ulzana's Raid" (1972). His last film with the director was "The Longest Yard" (1974). Biroc also photographed four of Samuel Fuller's films, notably "Forty Guns" (1957) and "China Gate" (1957). Biroc was one of only a handful of cameraman who shot film for network television early on, such as musical shorts featuring Duke Ellington, Nat King Cole, and Louis Armstrong that were used as fillers in between programs on NBC in the late 1940s. In 1951, he worked on his first television episode called "The Honeymoon Is Over" for the anthology series "The Bigelow Theatre" which aired on the DuMont network. Other 1950s television work included "Treasury Men in Action," "Dear Phoebe," and "Four Star Playhouse." Biroc also shot color episodes of "The Adventures of Superman" during the 1955 and 1957 seasons including the episode "Dagger Island." Biroc would later focus on television movies, specials, and miniseries during the 1970s and 1980s, including "Brian's Song" (1971), "Washington: Behind Close Doors" (1977), "Little Women" (1978), and "Scruples" (1980). Biroc was nominated for an Academy Award in the cinematography category for "Hush...Hush, Sweet Charlotte" and received an Academy Award in that category for "The Towering Inferno" (1974). Two years after retiring in 1987, Biroc became the second recipient of the American Society of Cinematographers (ASC) Lifetime Achievement Award.